This entry is part 9 of 16 in the series Belgium in a Glass. Living gluten-free means changing your diet, but it doesn’t necessarily mean you have to give up beer. We tracked down two gluten-free Belgian beer varieties to share our tasting notes with you. The number of people living gluten-free appears to be growing. 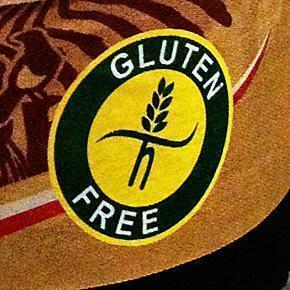 In fact, one of our more popular posts in 2013 was about living gluten free in Belgium. 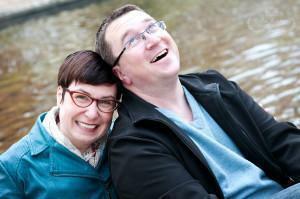 Although I’m not gluten-free, we do have several friends who have managed the transition. One of these friends was also a long time beer drinker. I’m not sure I could give up beer! So Alison suggested we investigate the Belgian gluten-free beer options. Brewers explored alternatives to the typical grains (wheat, rye, oat, and barley) during their initial attempts at creating gluten-free beer. These alternatives, such as millet, rice, sorghum, buckwheat, and corn, contained gluten, but these glutens are considered ‘safe’ for Celiacs. Recently it has become possible to extract the gluten from malt, meaning brewers can use traditional grains and brew a more traditional beer. However, there is an important caveat: de-glutenized beer is NOT 100% gluten-free. ‘Gluten-free’ labeling only means a beer contains an amount of gluten below a certain “parts per million” (ppm). In the US and EU, a product must have less than 20ppm of gluten. However, an even newer process of removing gluten, by adding special enzymes to break down gluten, is being reviewed because it is not clear how this affects Celiacs. The important point here is you still need to be cautious depending on your intolerance to gluten. Investigating gluten-free beer in Belgium, we didn’t find many options, but fortunately, the list is growing worldwide. Based on our research, we decided to try some of the top beer as recommended by others. Locally we were able to find two gluten-free beers made in Belgium: Mongozo Premium Pilsener & Brunehaut Amber. The first beer I tasted was the Brunehaut Amber. 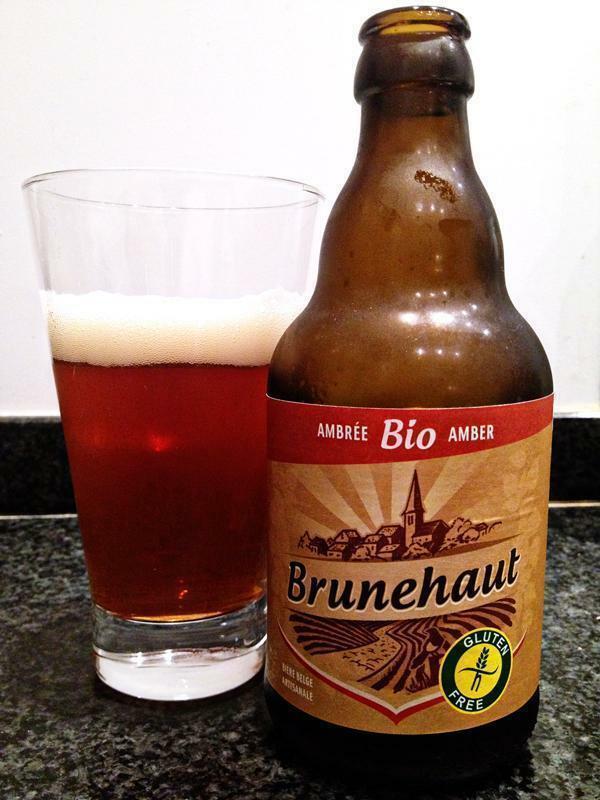 We had read about Brunehaut’s Amber and Blonde beer in several places, so I had to give it a try. Brunehaut uses barley malt and then extracts the gluten, achieving less than 5ppm. Technical stuff aside, it is a nice, well-rounded amber beer. It is slightly sweet, has a nice aroma, and is a bit dry on the finish. I would pair this with rich, spicy foods. 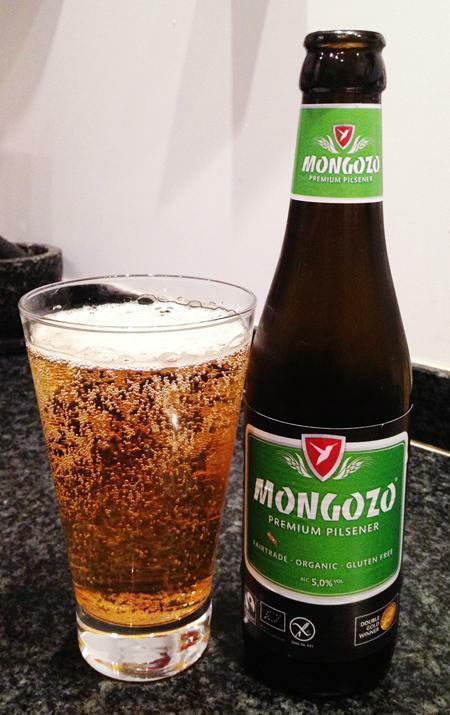 Mongozo’s Premium Pilsener is Gluten-free and fair-trade. For my second beer, I tried Mongozo’s Premium Pilsener. Mongozo is actually a Dutch company but they brew in Belgium, at the Huyghe Brewery, brewers of Delirium. Mongozo’s Premium Pilsener is a crisp, pale blond beer, with a slightly bitter finish. Not only is it gluten-free, but it also qualifies as organic and fair-trade. In November 2013, this beer won “Best Gluten-Free Lager” at the World Gluten-Free Beer Awards. I enjoyed this beer and found it quite refreshing. I would suggest pairing with fish or foods featuring balsamic vinegar. I have to say I was pleasantly surprised with both of these Belgian gluten-free beers. Were they the best beer I’ve ever tasted? No. But frankly they were still quite good. Honestly, my expectations were not particularly high. I expected gluten-free beer to taste flat, like it was missing something. I discovered there is no discernible difference. In fact, I now want to try some of the others I’ve read about, simply to see how they compare. While living gluten-free does require changes to your diet, it doesn’t mean you have to give up everything. Have you tried a gluten-free beer? What did you think?